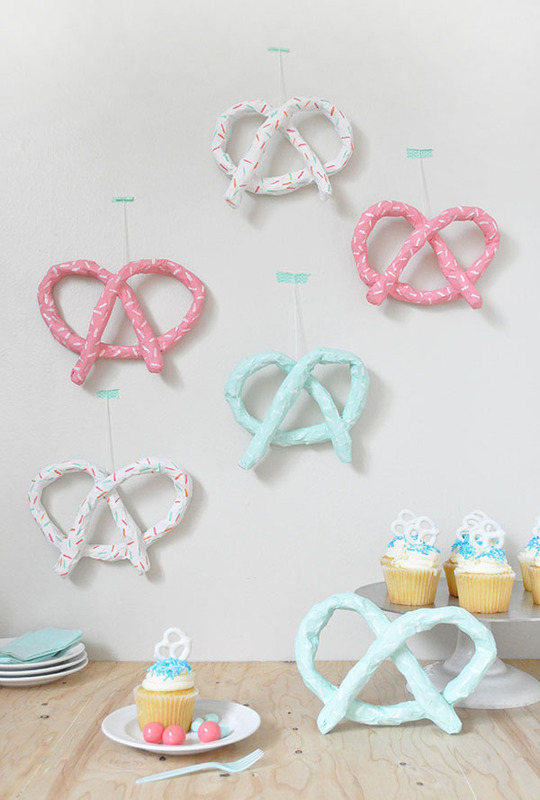 Pastel + pretzels = the best party theme ever! 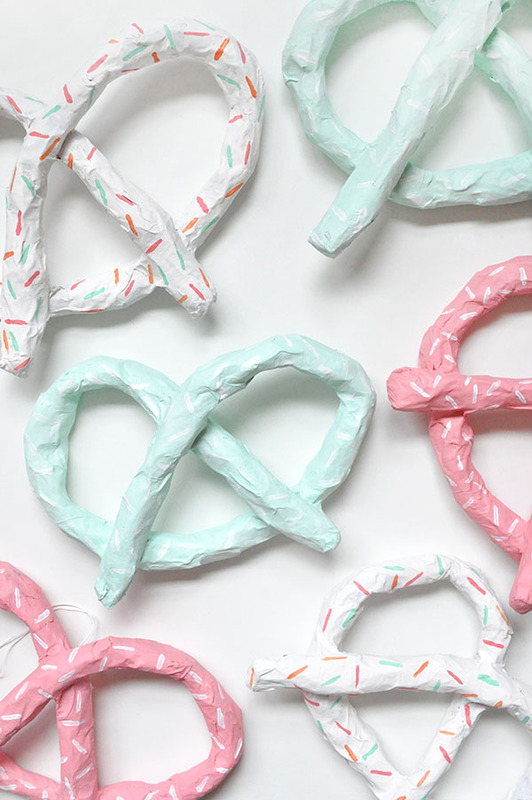 I’ve noticed the pretzel trend going around, and couldn’t help but make these DIY paper mache pretzels as party decor. 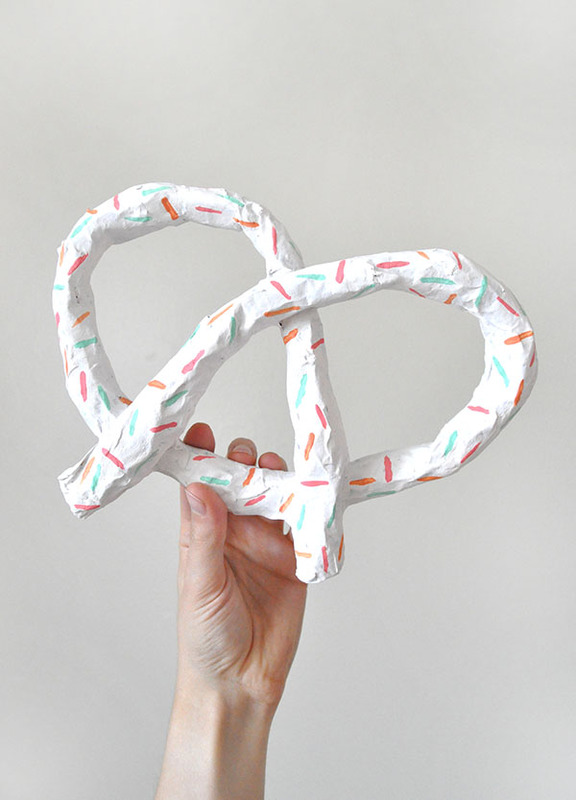 Plus, keep the theme going with these printable pretzel cones! Supplies: Newspaper, masking tape, paintbrushes, paint, mod podge (or white glue +water), string. Step 1: Twist newspaper into a sausage about 30″ long, using masking tape to keep twisted. Form into a pretzel shape, and tape to secure. Step 2: Rip strips of newspaper and let soak in a bowl of warm water a couple hours. 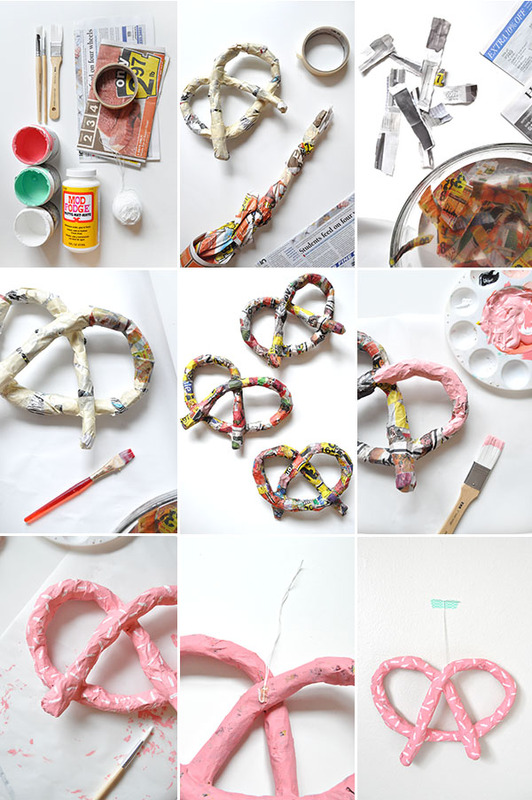 Step 3: Use the wet strips of newspaper and mod podge to paper mache the pretzels. Step 4: Let dry completely. Step 5: Paint the pretzels in pastel colors. Step 6: Use a smaller paintbrush to paint small sprinkles onto the pretzels. 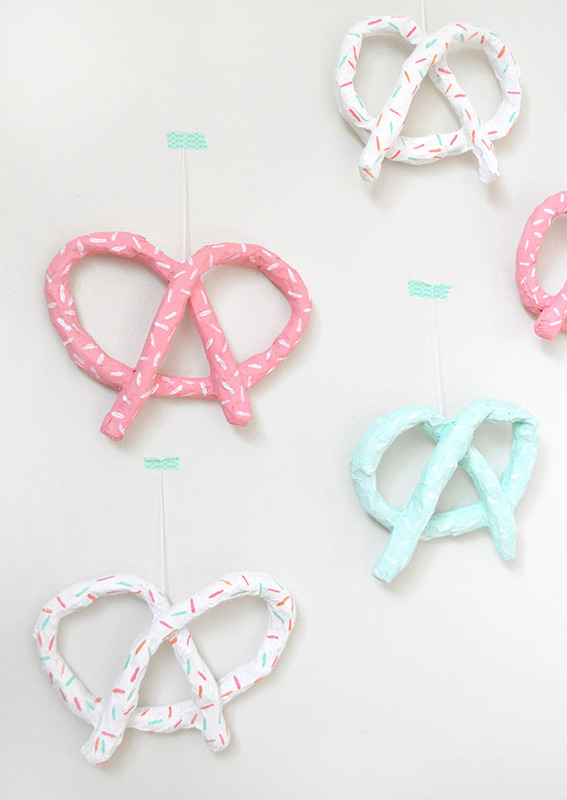 Step 7: Glue or tape a loop of string onto the back of the pretzel for hanging. Step 8: Tape the pretzels to the wall. A very cool and easy project, I really like it! These pretzels are all so cute! I love them! I ADORE this. Well done Kathleen! I honestly thought they were real pretzels coated in pastel colored chocolate! Haha! Still, this looks so lovely and cute! Such a fun and cute idea! It would be cool to make other items as well.